Found By Minakhin,L., Semenova,E., and Liu,J. Discovery Notes Additional authors: Vasilov,A., Severinova,E., Gabisonia,T., Inman,R., Mushegian,A. and Severinov,K. 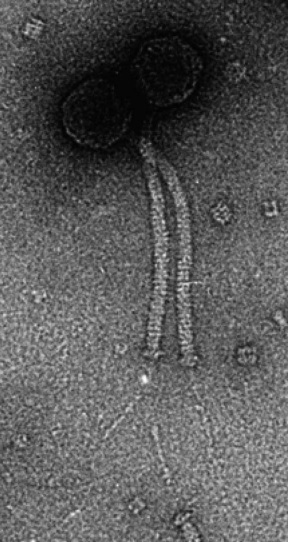 The origin of the Fah phage is not known; it may have been isolated by induction of a prophage followed by selection of a lytic variant. Naming Notes Fah in GenBank, identified here as BpFah for Bacillus phage Fah. Plaque Notes This phage formed clear plaques.